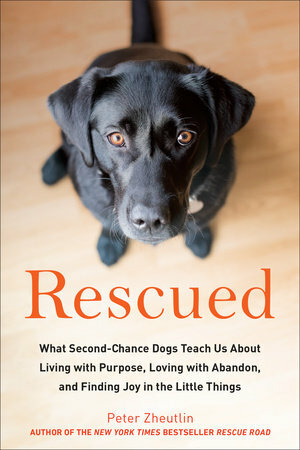 One of the most gratifying aspects of writing Rescued was speaking with so many thoughtful and insightful people about their second-chance dogs and their relationships with them. I spoke with Elissa Altman, th e James Beard-award winning food writer at an especially tender time. 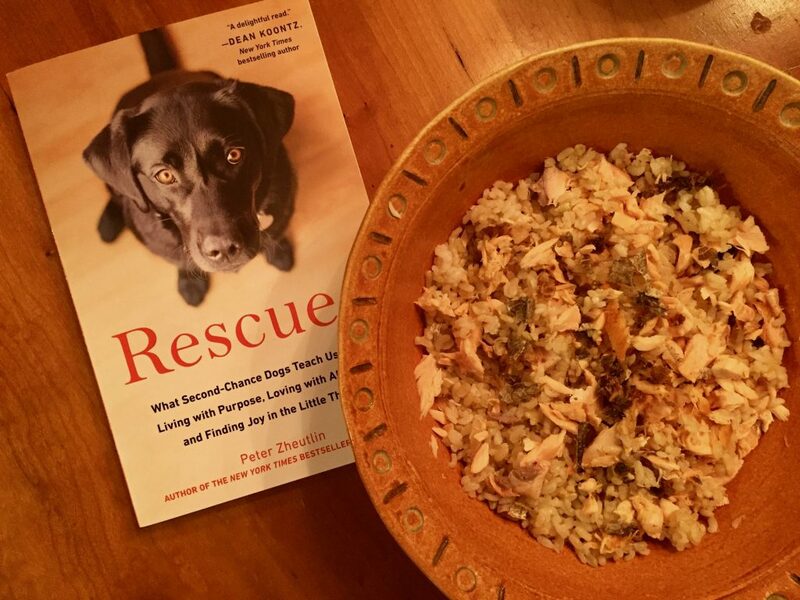 Just a few weeks earlier, Elissa, her partner Susan, and their other rescue, a terrier mutt named Petey, had to say goodbye to Addie, their beloved rescued Lab. 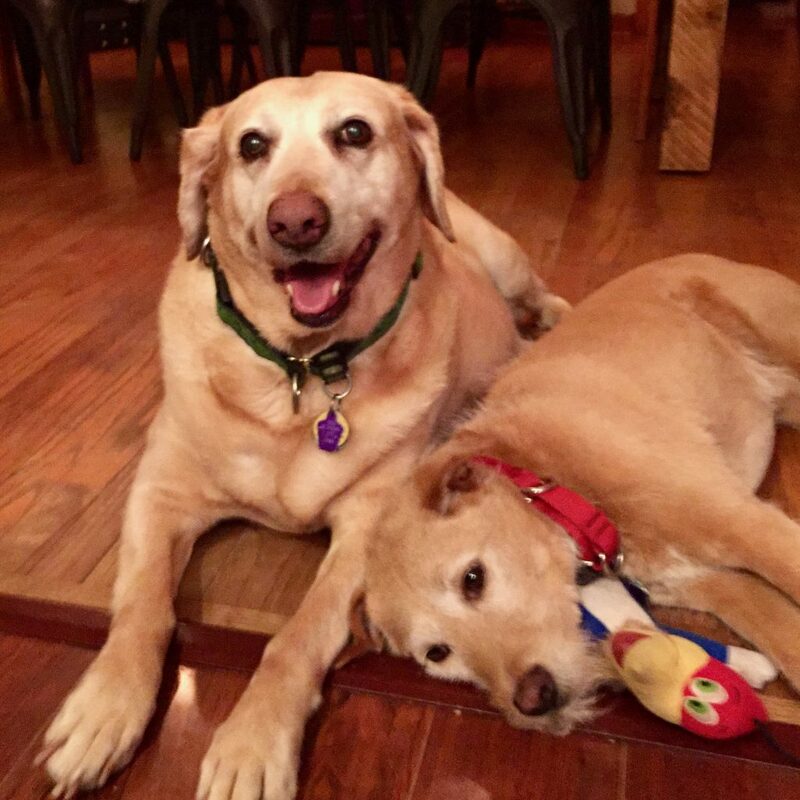 They adopted Addie in 2009 when she was about seven years old. 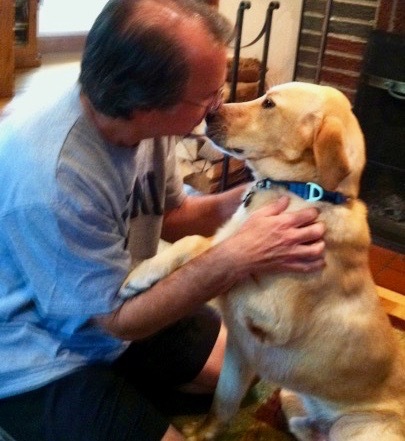 Addie, like Elissa, had a profound appreciation for food (most Labs do and they are not discriminating eaters). But, Elissa’s recipe for Addie’s Crispy Salmon and Rice is sure to please even the most discriminating palette. Elissa Altman is founder of PoorMansFeast.com and author of TREYF: My Life as an Unorthodox Outlaw (Berkley, 2017) and Poor Man’s Feast: A Love Story of Comfort, Desire, and the Art of Simple Cooking (Berkley, 2015). Preheat oven to 350 degrees F. Place oil in small oven proof roasting pan and place pan on stovetop. Heat on medium low until oil ripples. Place the salmon in the pan skin side up, and cook for five minutes. Turn the fish over so it is skin side down and place pan in oven for 20 minutes. Remove from oven. Place the salmon on a plate to cool. Peel the skin off the fish and chop skin into small strips. Flake the salmon into the rice, toss, and top with salmon skin. Serve immediately. Leftovers will keep refrigerated for 2 days in a sealed container.